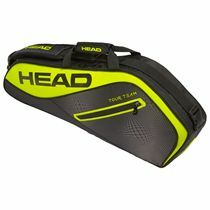 A sleek-looking choice for on-court activities, the Head Tour Team Extreme backpack ensures significant amount of storage for casual practice sessions, including up to two rackets with handles sticking out. 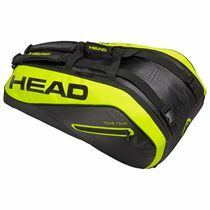 The backpack features one main compartment for all your equipment needs, as well as a separate compartment for frames and isolated footwear compartment to keep everything in separate fashion. 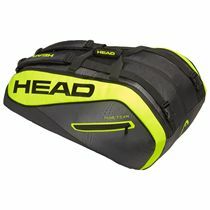 Additionally, the rucksack provides space for extras like: small items, personal belongings and accessories with two side and one front zip pocket. 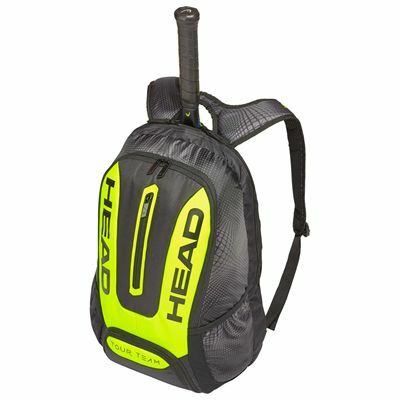 Moreover, this sporty backpack is incredibly easy to carry around on your way to the practice with a padded carry handle or comfortable shoulder straps. 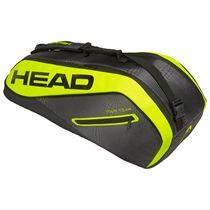 for submitting product review about Head Tour Team Extreme Backpack.